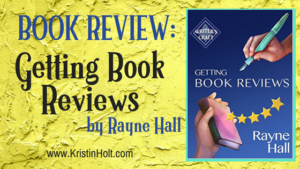 I’m a bit of a “Writing Craft Book” Junkie. The more I write fiction–and the more I learn about the craft of writing fiction well–the more I realize I don’t know. 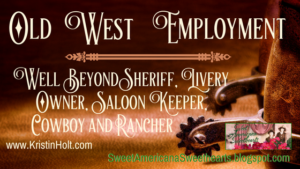 I thrive on the ongoing process of learning from experienced masters of the craft and those in the know (including those outside “writerly” types–but super knowledgeable in their own areas; e.g. psychologists, law enforcement, historians, etc.). 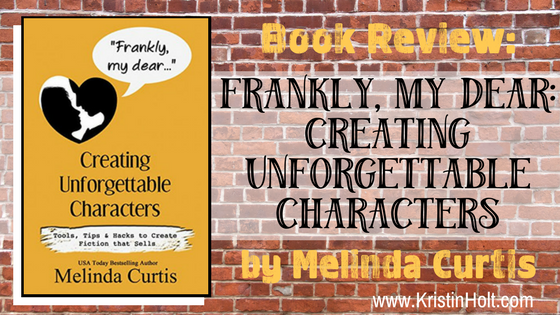 When Melinda Curtis, USA Today Bestselling Author, put out a call to writer friends who might be interested in reviewing her new book–specifically a “craft” book about creating unforgettable characters, I jumped at the opportunity. Right up my alley! This book for fiction authors begins with a key explanation about “characters and conflict, along with a multi-faceted psychological principle that can be used to create characters who need to grow and change. The formal name for this principle is Early Maladaptive Schemas, commonly refereed to as Schemas.” In the same amount of time it takes to consider a fresh personality type I’ve not written (yet, or recently–don’t we all want new, fresh characters? And to avoid the accusation that all our characters sound / act / respond the same? ), this book taught me a fundamental tool to ensure my characters and their baggage (we are what we learn, right?) 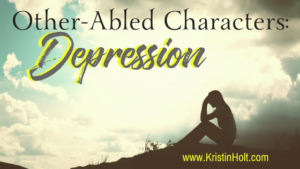 is different, unique, and credible–and more importantly, that they respond in a consistent way as they grow throughout their character arc. Examples contain popular movie (and book) citations to familiar characters responding to these human wounds, beliefs, and coping mechanisms–the Schemas so unique to human behavior. After all, we are all flawed in some way. I knew that long before the author stated it as fact. Ms. Curtis goes on to explain in an understandable, applicable, writer-centered way how this awareness applies to the characters we create to breathe life and vitality into their story. 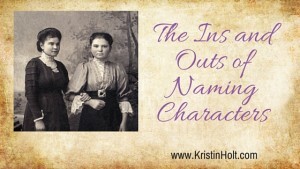 I not only highlighted much of the Part 1 section as elements inspired my understanding and evoked workable strategies to improve my own creative methods, but finally, finally gave me answers to one of my own greatest challenges as a writer–how do I ensure my characters come across (to the reader) as consistent. 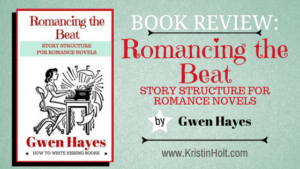 Unfortunately, I’ve seen a couple of reviews of my books in the past year, penned by savvy readers, who were disappointed by my characters behaving inconsistently. Ouch. I could see where they were coming from though–and couldn’t help but agree with them. At last, I’m armed with a reference (part 2) and the comprehension (part 1) to ensure every character I write from here on out is 1) believable, 2) consistent, 3) uniquely flawed in a manner that 4) readers will adore or 5) love to hate. I’m willing to bet that if I consistently put these concepts to work for me, I won’t see a new book reviewed with words like ‘inconsistent’. That makes me anxious to re-read, study one more time through, and ensure this valuable resource is part of my creative process. Each Schema (part 2) is afforded its own chapter. Each of those resource chapters are approximately 8 kindle pages long (I read at about a 12-point font size), and consistently laid out the same way. Each contains the name of the Schema, a memorable character with that Schema, a brief statement of that character’s backstory, wound, belief, and coping mechanism, external conflict and internal conflict, and character growth. Then comes more specific help: What is the Failure Schema, Examples, Beliefs Created, Coping Mechanisms (all with examples from books and movies), The Character Journey, A Deeper Look (at a character we all know) (with backstory, wound, belief, coping mechanism, external and internal conflicts, and character growth), and wraps up with Test the Fit with Your Character. A Quick Start Guide explains the two parts of the book and gives an overview of what the book contains (but unfortunately, is not clickable, and doesn’t work like a TOC (table of contents). The oversight might effect only the ARC, and not the final, for-sale edition, but I wish this book were formatted with a clickable TOC . I would like to click through to the different Schemas by name (chapter title in Part 2) rather than having to page through to locate the one I want to reference. The Advance Review Copy (ARC) I received in kindle format was edited with precision and accuracy. I found all of one or two errors of any kind. It’s that incredibly clean (meaning error-free and consistently structured and formatted the same). As an author who formats her own ebooks, I’m aware that Amazon’s master powers sometimes removes blank lines intended to remain–such as between scenes in a (fiction) chapter. In this educational book, I think/hope Ms. Curtis had left blank lines between the end of a content-dense section and beginning of a subheading within that same chapter. Lots of print on the page, with no white space, makes for more tiring reading (at least for me). It’s very possible the omissions of TOC and adequate blank lines/ white space have been discovered and corrected prior to official publication. Good news: all chapters begin on a new page. One more positive: bullet-point lists make the review of “Beliefs Created” and “Coping Mechanisms” much easier than standard paragraph format. Thank you! Please don’t miss the incredible value inside, by taking a pass, because of the cover. This is one time when ‘judging a book by its cover’ would be sad. IMHO, the cover underrates the quality of the book content. This book has a facebook page! 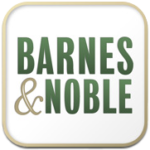 Disclosure: I received a digital copy of this book from the author, with no requirement to leave a review–or if I did review, not required to leave a positive review. This honest review contains my personal opinion and would have been identical had I purchased the book. See my related review of this title on Goodreads. See the tab in my menu, Articles –> Book Reviews, for books I have reviewed and links to those reviews (not reviews of books I have authored). Kristin, thanks for such an in-depth review. I love schemas. They get me started on a book and help me when I’m stuck in the mucky middle. You’re most welcome, Melinda. I’m genuinely happy to spread the word about your excellent book! Also, thrilled to hear about the spacing and TOC are in the works. The TOC will be so helpful. (I thought the bullet points were just fine…well, one extra bullet point as a formatting glitch, but ‘lists’ always are temperamental, formatting-wise). Print edition too! Woot woot! I love print ed. for desk reference while writing. I’ll have to put snag one as soon as they’re available.